Vouching. My current Three Obsessions. Do you like Bon Iver? Same lead singer. 2. I’ve liked Jeff LeMire since Sweet Tooth. Just finished The Underwater Welder. 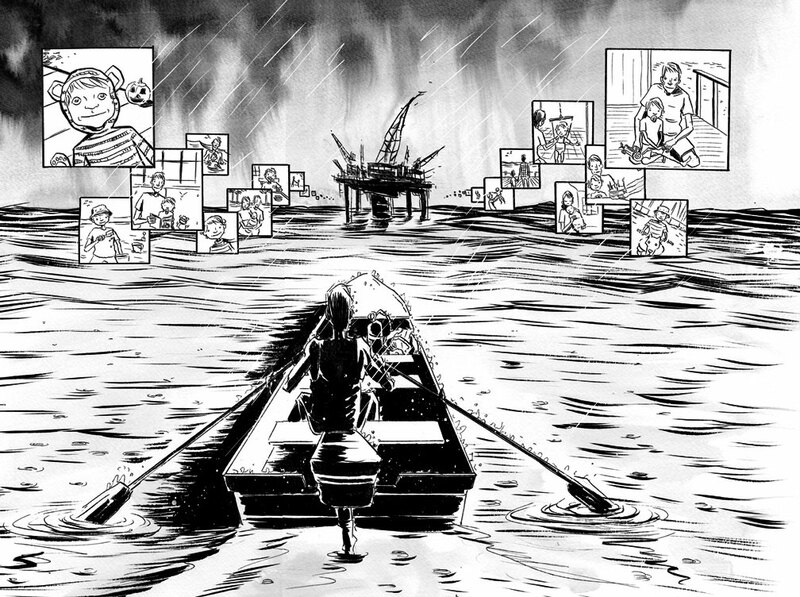 A smartly written, beautifully illustrated graphic novel about, yes, an underwater welder. But it’s also about one’s obligation to family, family secrets, and redemption in a lonely seaside town. 3. Remember Braddock, PA? There are a number of good people working to rebuild the struggling postindustrial town, and Braddock Avenue Books is working hard to publish bold and urgent new voices. I’d recommend stopping by their website, which has interviews and blogs featuring writers such as Ian McEwan, Allison Amend, Christine Schutt, and Caitlin Horrocks. Photo from Top Shelf Productions.